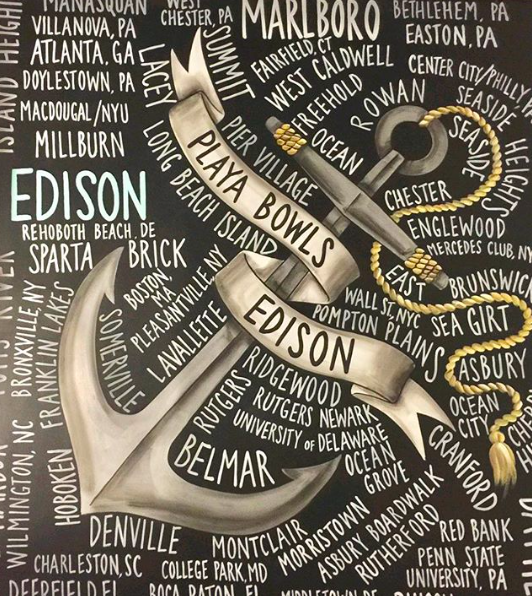 If you’ve visited towns like Belmar, Red Bank, Asbury Park, Seaside, or Toms River during the summer months, chances are you’ve known about Playa Bowls for a long time. What originally started out as a food truck is now a popular staple in New York City, New Jersey, and Pennsylvania, with 20 more locations planned in the near future. Customers will instantly feel the island vibes at any one of these storefronts, which feature tropical colors on the walls, chalk paint on the menus, surfboard decor, and palm fronds. The majority of the shops have plenty of seating, and many of the tables are made out of either surfboards or reclaimed driftwood. Beyond the sandy decor, the fruit bowls themselves are the star of the show. 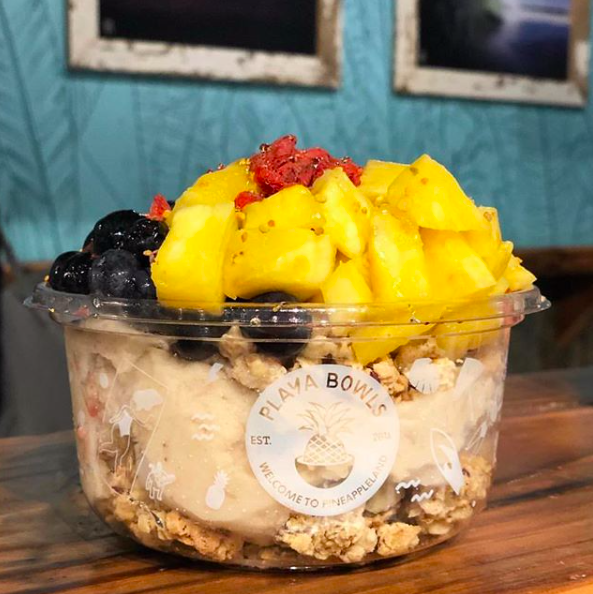 Best known for their acai-blended bowls, the menu doesn’t stop there. Pitaya Bowls (a blend of pitaya, banana, pineapple, and coconut milk), Banana Bowls (a blend of banana, honey, and almond milk), Chia Pudding Bowls (a blend of chia seeds, coconut milk, agave, and vanilla), Green Bowls (a blend of kale, pineapple, banana, and coconut milk), and Coconut Bowls (a blend of raw coconut, banana, agave, and coconut milk), are all on the daily menu. 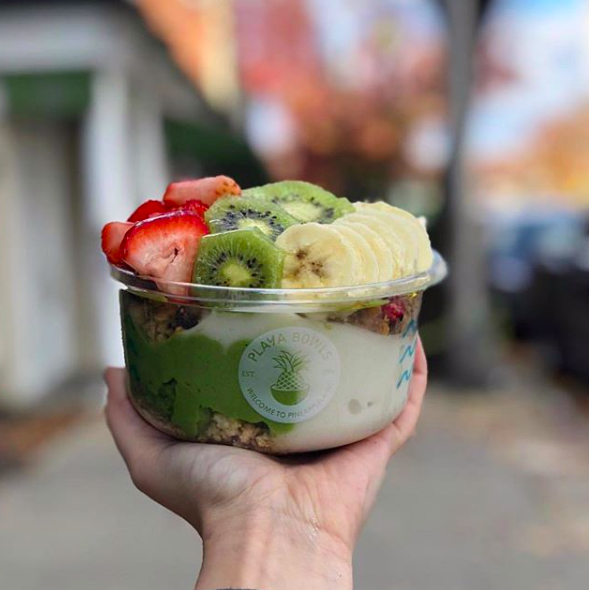 Customers choose from any one of these options as the base of their bowl and then select from a host of toppings, from Nutella to peanut butter, coconut flakes, granola, fresh berries, and more. To give a sense of just how large and customizable the menu is, consider that add-ins like avocado, chocolate and vanilla protein powders, mango, and raw cacao (among others), can be added into any bowl creation. 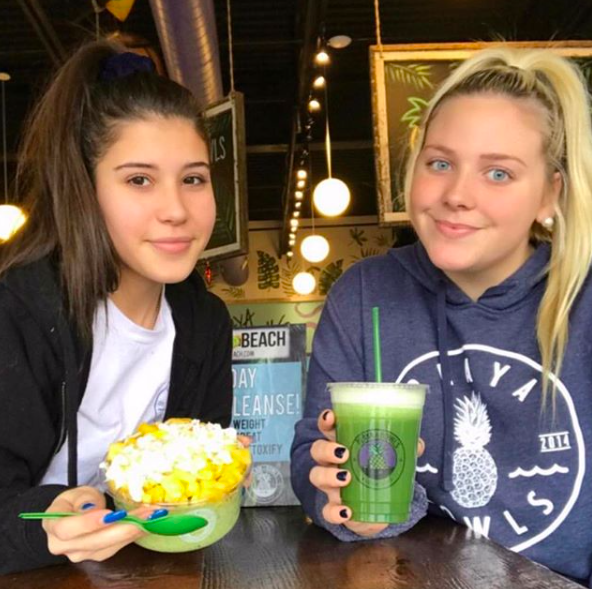 Beyond bowls, the Playa Bowls menu features smoothies, fresh juices, oatmeal bowls, poke bowls, and lemonade. Their local lemonade company, Lizzmonade, is a regular at many farmers markets, outdoor festivals, and events throughout the Garden State. So, don’t wait for summer to arrive — visit your nearest Playa Bowls now!